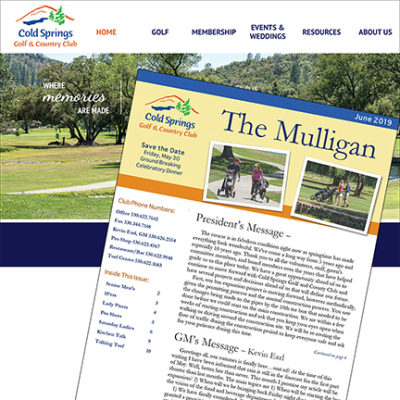 At Cold Springs we publish a monthly newsletter called The Mulligan. It highlights our events, tournaments and all the news going on in and around the Club. Please click on the 2019 newsletters listed below to download the PDF version. At Cold Springs we believe members should have just as much fun off the golf course as on it! Therefore we put together various social events for our members to enjoy. Upcoming activites are listed below. ​Click HERE for more concert details.